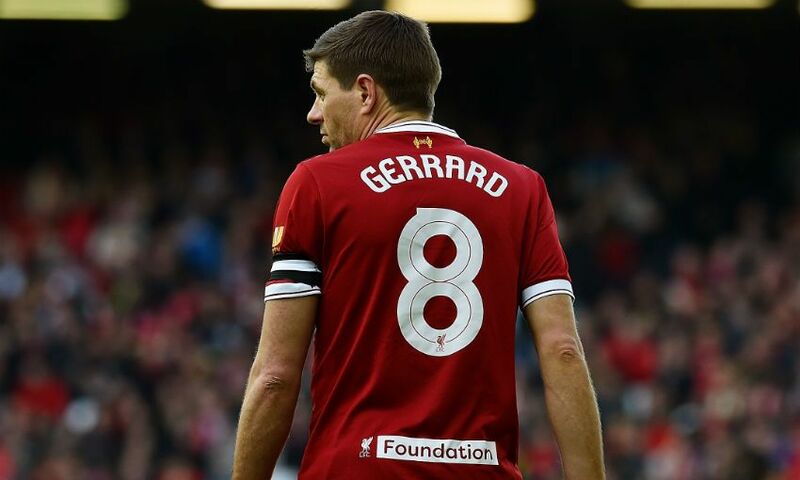 Steven Gerrard will play for Liverpool FC Legends in next month's charity match against Milan Glorie at Anfield. The former captain has been added to the Legends squad that was announced earlier in February and is set to line up alongside the likes of Jamie Carragher, Dirk Kuyt, Sami Hyypia, Daniel Agger and Robbie Fowler on Saturday March 23. Milan’s 25-man roster, meanwhile, includes iconic names such as Kaka, Andrea Pirlo, Paolo Maldini, Cafu and Alessandro Nesta for a game that will raise funds for LFC Foundation, the club's official charity. Gerrard said: "The LFC Legends game is always a great day with a fantastic atmosphere; I get to catch up with old teammates and play alongside footballing legends while raising money for a fantastic cause, the LFC Foundation. "With AC legends like Maldini, Kaka, Dida and Gattuso coming to Anfield, the crowds are in for a treat; and with our European Cup history it's going to be an extremely competitive game." Proceeds from the match will go to LFC Foundation, which aims to create life-changing opportunities for children and young people, and a proportion will be donated to AC Milan's official charity, Fondazione Milan. Money raised from last year's Legends game has already helped to fund a variety projects for LFC Foundation and its charity partners, including the MOVE project at Alder Hey, which is successfully helping local children with cystic fibrosis by providing tailored physical activity to improve their health and quality of life; and LFC Foundation's new Onside project, which is implemented in association with Merseyside Police and north Liverpool schools, to prevent the involvement of young people in gang and youth crime. The match at Anfield will kick off at 3pm on Saturday March 23. Tickets for the game are priced at £22 for adults, £5 for juniors and £15 for over 65s. They are available to purchase online only - click here for more details. Hospitality is also available from £70 per person. Call 0151 264 2222 or click here.